At our dental practice your personalized dental care and treatment is our top priority. We are proud to offer the very best in cosmetic and family dentistry. 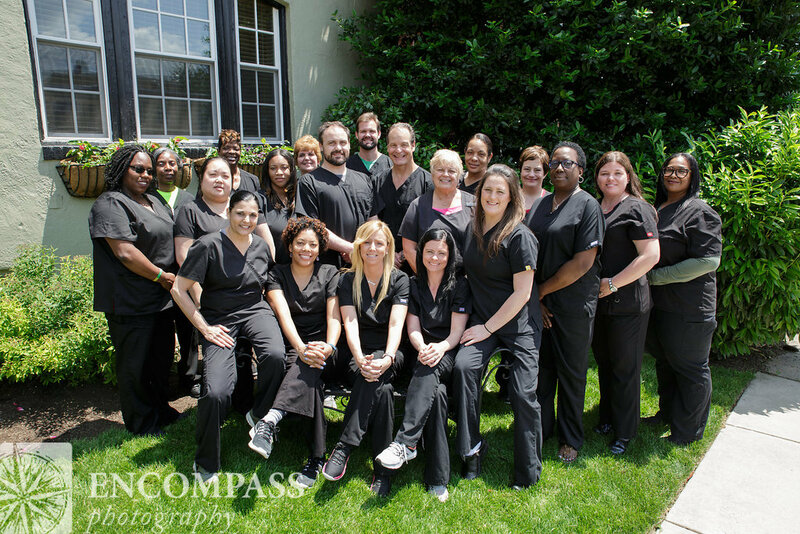 Our doctors, hygienists, expanded function dental assistants (EFDAs), and administrative staff are dedicated to providing you and your family with the professional care and personal attention that you deserve in the gentlest manner. As part of the front line in comprehensive and oral health care provision you can expect us to meet all of your restorative dental needs, and guide you toward the appropriate and best specialists. We are committed to providing our patients with the information necessary to make informed decisions regarding their oral health and hygiene, as well as treatment. The smallest problems tend to compound over time, so it is important to visit our office before you become symptomatic. Periodic dental examinations and prophylaxis (cleanings) may mitigate future problems. It is our hope that you are able to use this website as a resource for many of your oral health concerns. Please browse our website, and feel free to call us at any time to answer any questions, address any of your concerns, or if you would like to schedule an appointment. New patients are always welcome. Our Philadelphia dentists look forward to meeting you and being your lifelong partner in dental health.